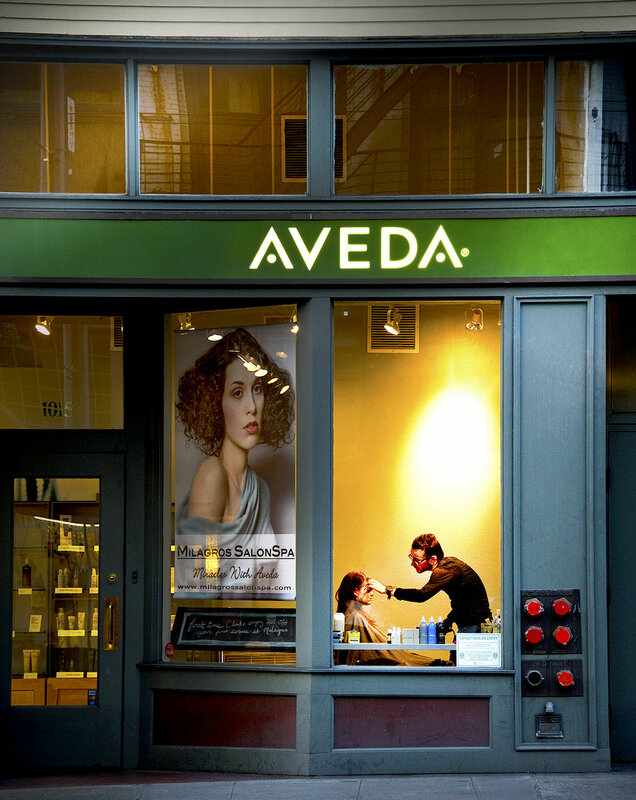 Aveda salon. Portrait of stylist. Seattle, WA.